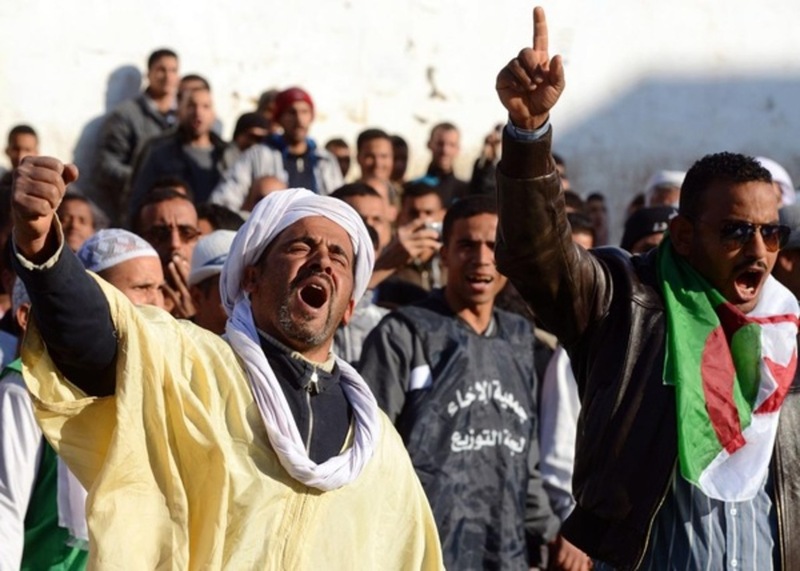 Resentment is growing against Algerian authorities which have so far managed this burgeoning discontent with a stick-and-carrot policy that has kept a tenuous peace but not addressed underlying issues, warns International Crisis Group. Since 2013, the politically marginal but economically crucial oil-producing areas of the Algerian south have experienced successive waves of unrest over what may appear local economic, environmental and communal issues, says the think-thank in its latest report. Ahead of an uncertain presidential succession and given the painful consequences of low oil prices, Algeria should go beyond treating the symptoms to address governance shortcomings and include its peripheral populations in political decision-making, says the report. The International Crisis Group (ICG) calls on Algeria to act now as the challenges are still amply manageable, rather than allow them to fester and bleed dangerously into the coming political transition. Three separate movements in three southern cities have evolved in recent years to mobilize thousands of Algerians, both in the desert region and elsewhere in the country. The historic town of Ghardaia has seen recurrent clashes between Sunni Arabs and a Berber minority, in a rare instance of sectarian violence in an overwhelmingly Sunni country. In the far south, the town of In Salah has given birth to the Maghreb’s most significant ecological protest movement, with thousands mobilizing against shale gas exploration the government concealed. In Ouargla, widespread unemployment has provoked unrest by local youths, who have formed a movement that demands an end to what they consider central-authority neglect. According to ICG experts, these issues, long considered politically marginal, must be taken seriously, not only for the sake of the vast region, but also because of their growing and very real impact on the country’s political “core” in the north. However, Algerian authorities continue to think in terms of handouts, repression and policing, tools which have barely kept a lid on an occasionally violent cauldron. But Algeria, which is facing the most serious economic challenges in decades due to falling oil production and low international prices, is less and less able to substitute spending for inclusive politics and good governance. It appears that its former strategy, which helped Algerian government secure peace in the 2000s, is no longer viable. The unrest of the last few years demonstrates that southern citizens are no longer willing to put aside their demands for improved transparency, communication and respect from their government. Written by: Jaber Ali on November 28, 2016. Posted by Jaber Ali on Nov 28 2016. Filed under Headlines, World News. You can follow any responses to this entry through the RSS 2.0. Both comments and pings are currently closed.